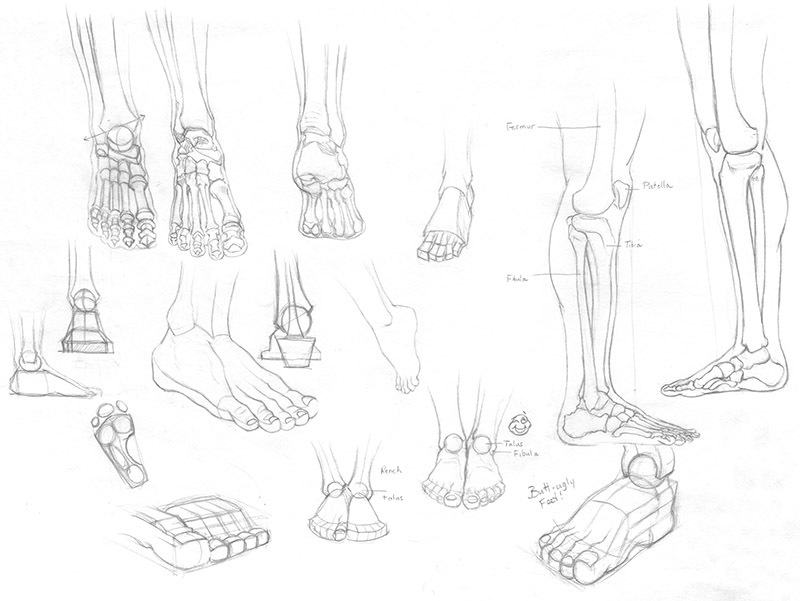 Feet are one of the top problem areas for me, so I decided to tackle them head-on by drawing a lot of well...feet. I decided to start from the inside out but aside from the model skull I own, I don't yet have an actual skeleton on hand to help me gain a better understanding of what I'm drawing. In the meanwhile, I've used the following references to aid me: Artistic Anatomy by Dr. Paul Richer, Figure Drawing - Design and Invention by Michael Hampton and Anatomy for the Artist by Sarah Simblet - all excellent books. 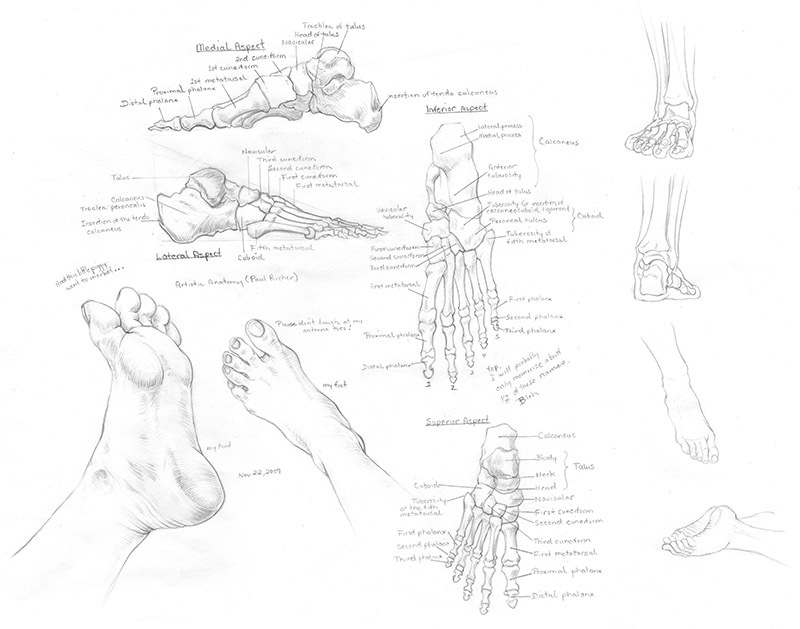 Some of the studies are copies from these sources while the rest use my feet or photographs of feet as reference. There's something about copying something over and over again that commits it to memory - I now know the names of all the bones in the feet! I have also included some more of my life drawings (5-10 minute poses).